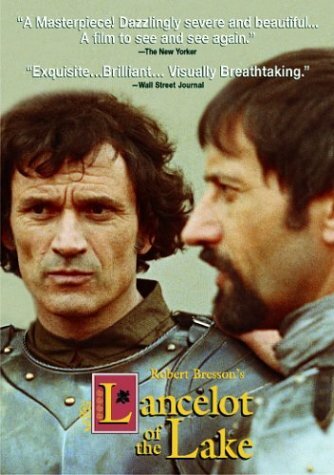 It's perhaps a bit ironic that New Yorker Video is releasing DVDs of Robert Bresson's Lancelot du Lac (1974) and A Man Escaped (1956) simultaneously—Lancelot was originally the film Bresson hoped to make after Diary of a Country Priest (1951). Inevitably, however, he couldn't raise the proper funding; at one point he uncharacteristically considered casting professional actors Burt Lancaster and Natalie Wood in the film, though what kind of movie that would have resulted in is anybody's guess. Suffice it to say that the version Bresson did eventually make is firmly rooted within his stylistic world of nonprofessional "models," de-dramatized performances, and "cinematographic" style. 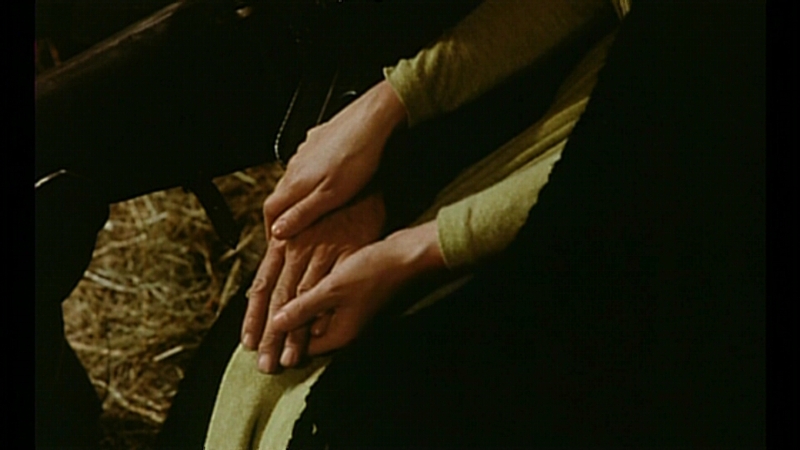 Bresson has simply eliminated most of the original events [in La Mort le Roi Artu] . . . while expanding a few elements greatly. 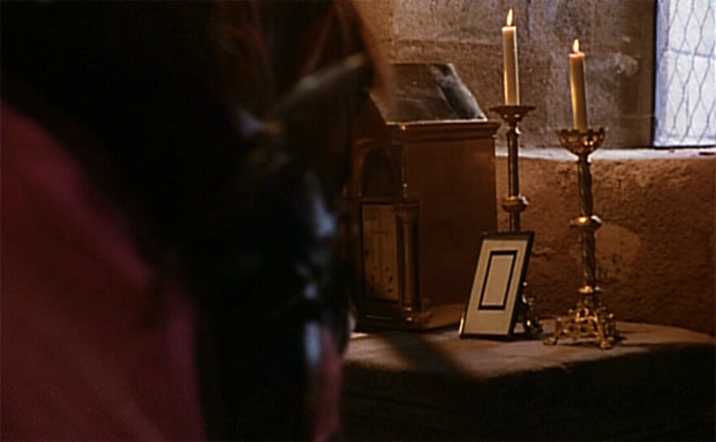 Thus most of the first half of the film comes from one summary sentence in La Mort: "Now, though Lancelot had behaved chastely by the counsel of the holy man to whom he had confessed when he was in the quest for the Holy Grail, and though he had apparently renounced Queen Guenevere, as the tale has related before, as soon as he had come to court, not one month passed before he was smitten and inflamed as much as he had ever been at any time, so that he fell back into sin with the queen just as he had done earlier." . . . The elimination or compression of events in an adaptation is common enough, of course. But Bresson eliminates or compresses some things only partially, leaving bits of puzzling information which seem to hint that we have missed something along the way." Elliptical narrative is also a typical Bressonian approach, but it does seems particularly pronounced in Lancelot, perhaps because Bresson assumed the legend of King Arthur was widely known. Bresson also elides much of the heroism, action, violence, and grandiose milieu of the traditional tale, fashioning an epic story as a restricted, modest film, with weary characters fighting to maintain their chivalric ideals despite the pressing desires of their hearts at the end of an age. Throughout the film, conflicts between charaters hinge on these syntactic interchanges where a word such as faire or vous becomes the pivot of the discourse as it is played on, changed, rhymed, or denied. One could profitably make a list of the many verbs that tie together this discourse, almost always stated in a forceful, matter-of-fact declarative sentence, as a verb in the present tense, or as an infinitive. The narrative moves from verb to verb as these characters in search of a goal seek to resolve their conflicting inclinations. The dialogue is as much of a ritual battleground as the tournament. The words are lanced at each other in rapid succession. Hanlon analyzes the meter within much of the film's dialogue, identifying stressed syllables. And if one might question the validity of such an approach, it should be noted that Bresson explicitly wrote on the subject in Notes on the Cinematographer: "Model. Thrown into the physical action, his voice, starting from even syllables, takes on automatically the inflections and modulations proper to his true nature." And later: "Nothing is durable but what is caught up in rhythms. Bend content to form and sense to rhythms." 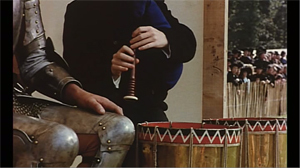 This emphasis on rhythm propels Lancelot's visual and sound design to such an extent that the experience of watching the film can be virtually hypnotic. Bresson also conceives of the overarching narrative in formal terms. 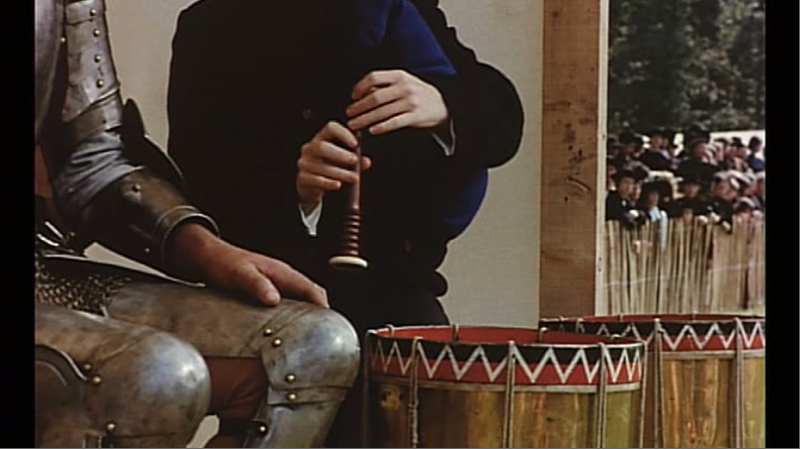 While many of his specific ellipses serve to de-emphasize spectacle (several combat scenes occur offscreen, a jousting tournament is visually represented by the powerful legs of the combatants' horses), Bresson begins and ends the film with startling violence. Suited knights stab and decapitate one another in a dark forest, producing torrents of blood; simultaneously, there is a sense of stylization to their movements in the throes of death, actions with unnatural pauses and stiff poses that lend the suited knights a mechanical, inhuman aura. 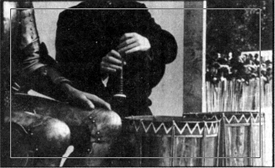 For much of the film, the knights wear their armor without helmets, clanging and rattling from scene to scene; occasionally, the knights wear their helmets and raise or lower their visors to deliver snatches of dialogue, like miniature dramatic curtains. Suited up for attack, however, they resemble robotic shells of glistening steel. In this way, they become living paradoxes of life and death, human and metal, illustrating Bresson's dual obsession with spiritual and material worlds. "Has God forsaken us?" 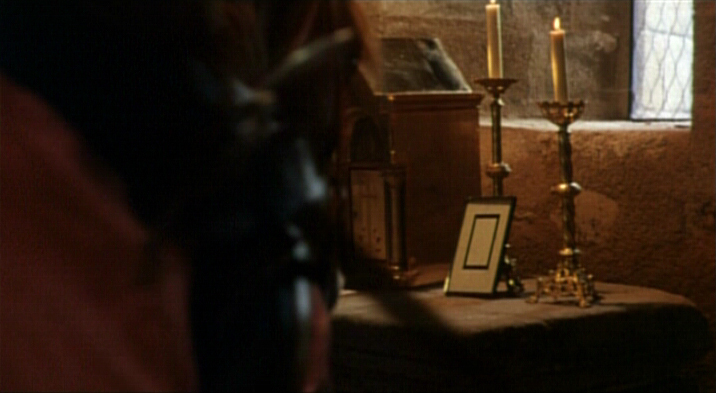 a despondent Arthur asks in the early scenes of the film, noting the empty chairs of the Round Table. 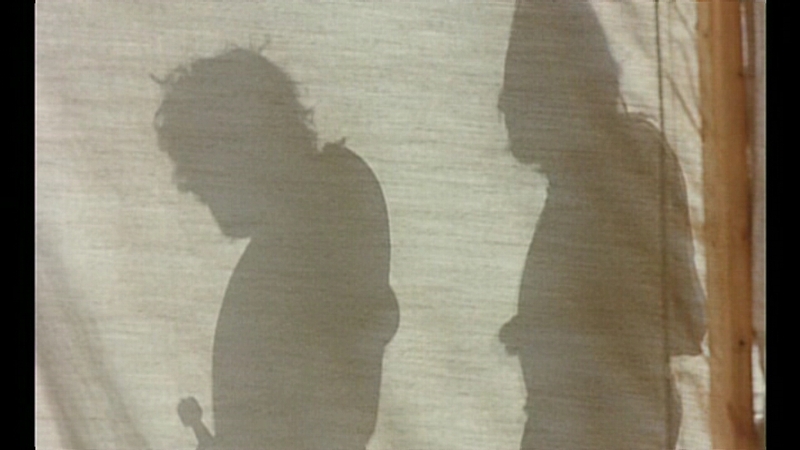 A sense of imminent doom pervades the film and serves as a creeping metaphysical antagonist. 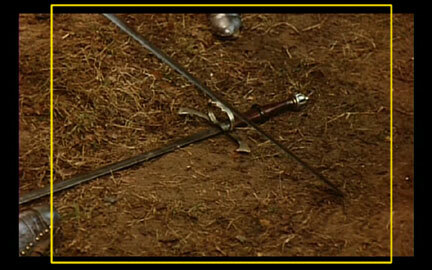 "We can forestall fate," Lancelot suggests, "deflect the menace." For damage control, Arthur orders his remaining knights to "perfect yourselves, remain united, forget your quarrels, cultivate friendship," but tensions inevitably remain and allegiances shift in light of Mordred's increasing hostility. 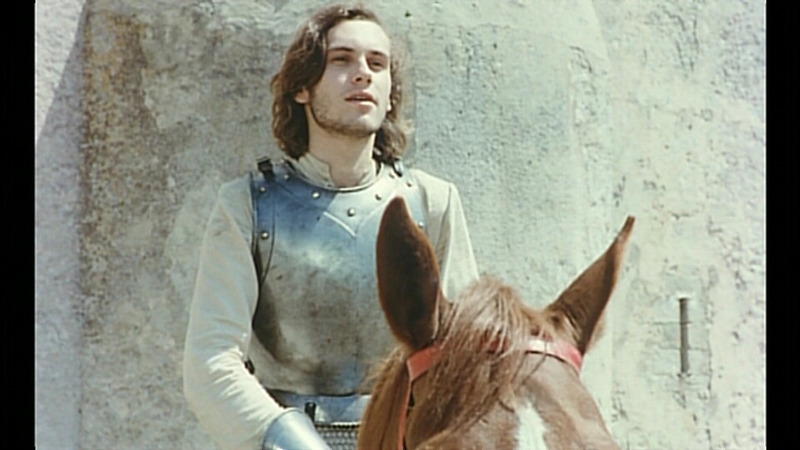 Besides Lancelot (Luc Simon), the knight whom Bresson highlights the most is Gauvain (Humbert Balsan). 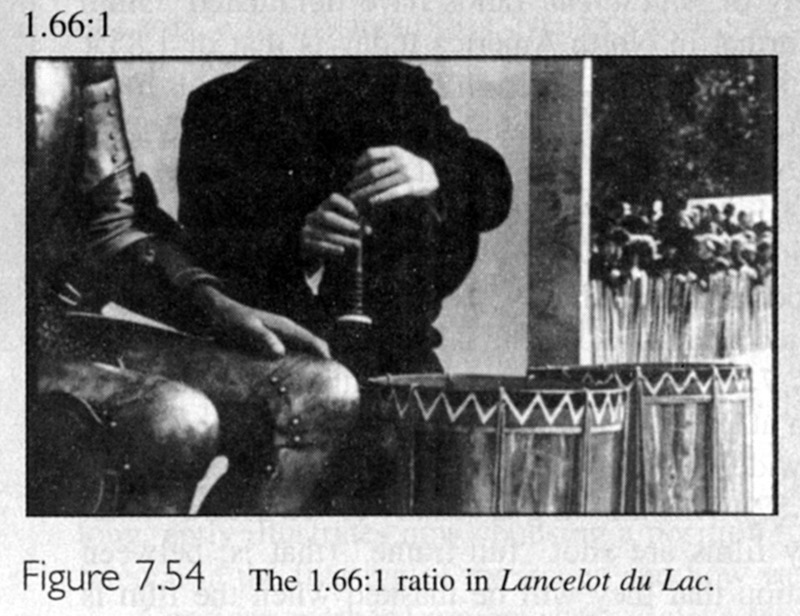 While Lancelot oscillates between his loyalty to Arthur and his love of Guenièvre (Laura Duke Condominas), Gauvain struggles to maintain his idealization of Lancelot and heroic knighthood in general. 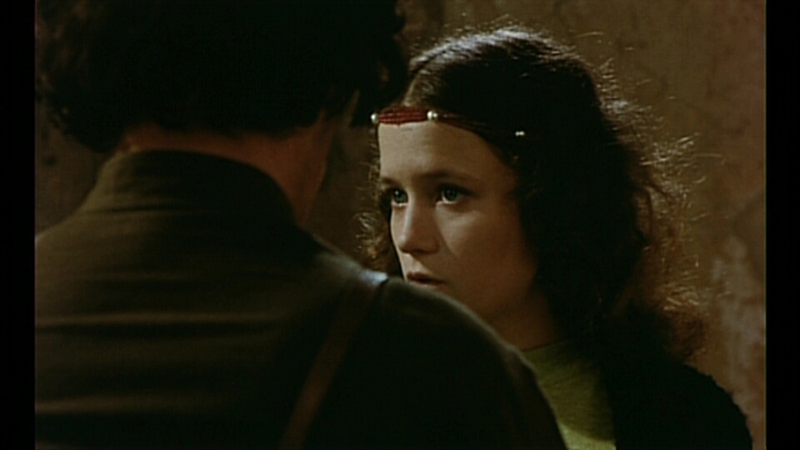 "[Mordred] is everything that you and I despise," he tells Lancelot. "When he splashed you fording a river you said he offended your horse. How he cringed before you. I dislike weaklings. They should be hanged." Gauvain is perpetually the first person to defend the honor of Lancelot and Guenièvre but his high ideals generate as much conflict as they remedy. Guenièvre's narcissism prevents her from completely accepting these ideals as well. Her exchanges with Lancelot continually elevate their love over the good of the community. When Lancelot asks for her humble consent to free him of his vows to her in order to atone for their love and restore the Round Table, Guenièvre replies, "No, I'll save no one at that price . . . To think yourself responsible for everything is not humility." Bresson conveys a sense of encroaching metaphysical judgment through his evocation of nature. After searching the forest for Lancelot and, like the Grail search, finding nothing, the knights return to Arthur and proclaim, "The forest is a devil," just before a thunder crash registers an unexpected rainstorm. As the knights scramble to secure their tents in the deluge, Bresson cuts to dark trees swaying in the shadowy downpour while a door handle rattles ominously. 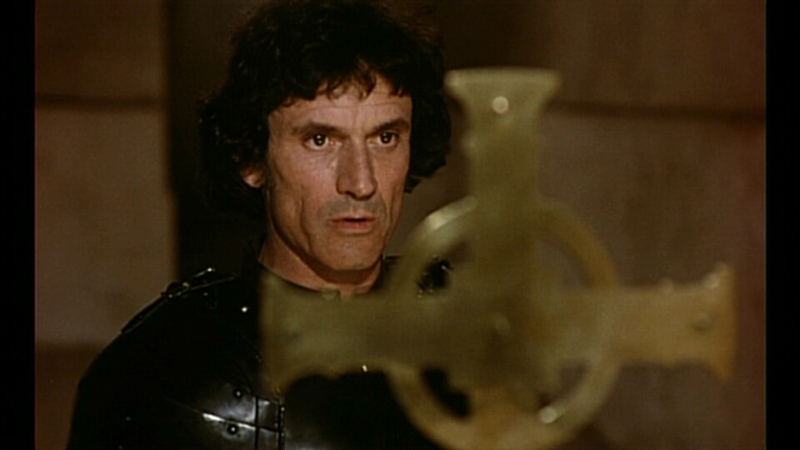 "Some force is manipulating us," the knights intone, initiating a theme that will reappear in Bresson's subsequent film, The Devil Probably (1977). If Lancelot's fantasy depiction of a changing world inhabited by deflated survivors with a penchant for self-destruction is an allegory for the modern age, The Devil Probably explicitly sets that vision in contemporary Paris. This New Yorker DVD release of Lancelot du Lac is naturally a vast improvement over their previous VHS edition, which had ingrained subtitles and an aspect ratio of close to 4:3. On the DVD, we were pleased to discover an anamorphic transfer with removable, white subtitles. The film's (rather amazing!) theatrical trailer is the only additional material included. The source print used for the main feature exhibits some scratches and dust, but is in quite good shape. The audio track is perfectly acceptable. The colors are however somewhat less vivid than what we recall from seeing the film on the big screen—they are somewhat bland and washed-out, part of which may be due to the fact that the material is tape-sourced. There is also hardly any definition in the blacks, or dark scenes. As also was the case with New Yorker's A Man Escaped DVD, the transfer is based upon a PAL master, resulting in 4% speedup (the film clocks in at a mere 80 minutes) and significant ghosting (see this screenshot). This is quite unfortunate, especially for the serious student of Bresson. See our A Man Escaped DVD review for further musings on the topic of sloppy PAL to NTSC conversions. The bitrate is 6 Mbps [plot], and the film comes on a single-layer disc. 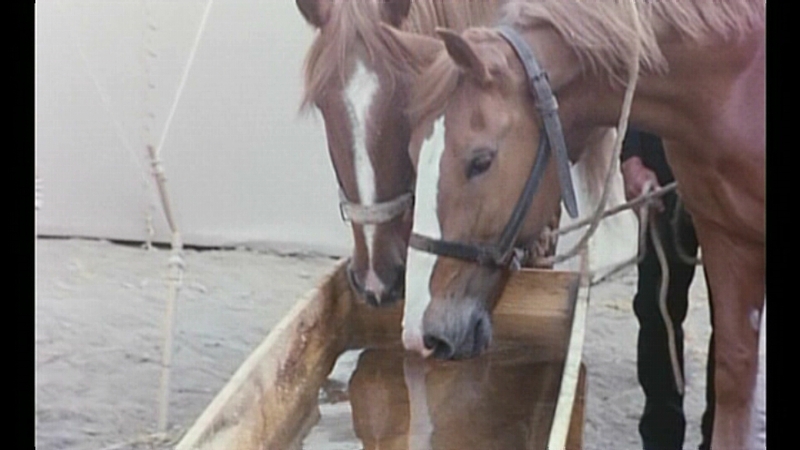 Here are six screenshot from the film; click for full-size images. 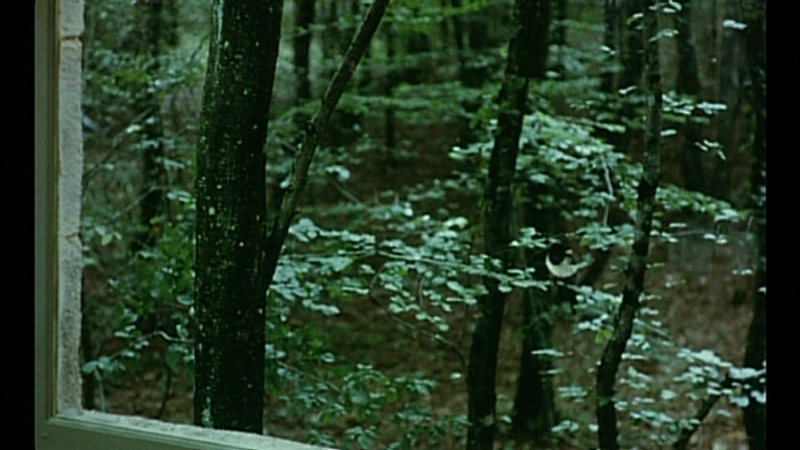 The theatrical trailer included on the disc is not horizontally cropped to the same degree (though it suffers from some vertical cropping). 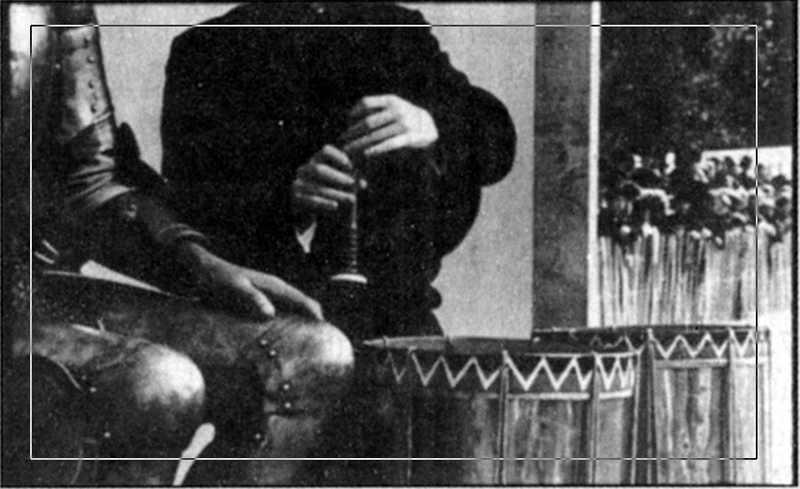 To show how the horizontal cropping seriously alters Bresson's intended image composition, consider the two frames below. 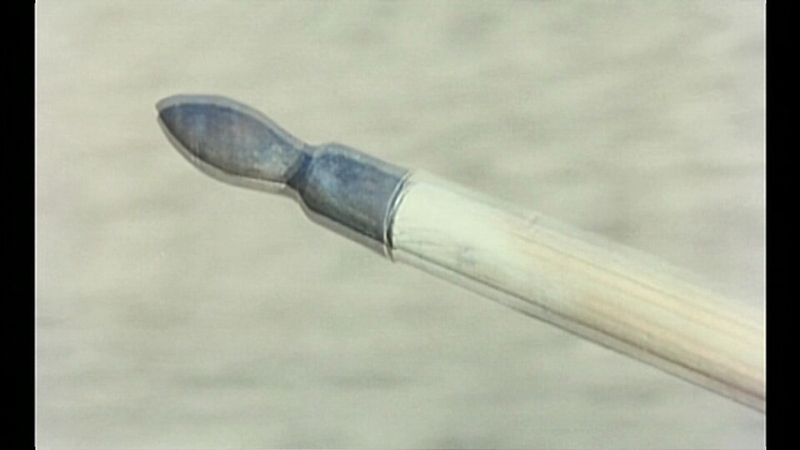 On the left is the frame as seen in the main feature of the DVD, and on the right is the corresponding image as extracted from the included non-anamorphic theatrical trailer. Notice the significant change in the framing of the window in the top right portion of the scene.